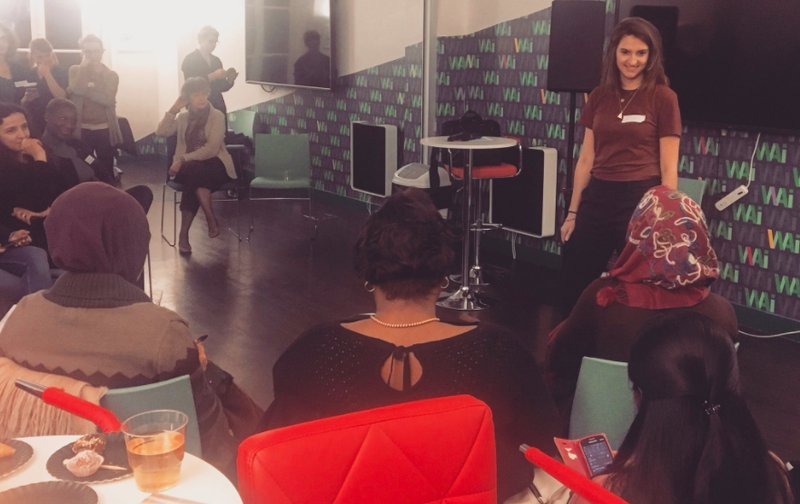 We caught up with our CEO, Joséphine Goube, to find out what Techfugees has been up to over the past two weeks, in her own words. This past fortnight has produced two more inspiring highlights on either side of the English Channel, with two events focusing on building communities, and empowering those within them to succeed on their own terms. I found myself returning to sunny London, in good company attending the Facebook Communities Summit. Here, admins and owners of successful Facebook groups gathered to share stories and tips for managing their own respective worlds. This was a mind-blowing experience, seeing how others from all over Europe had gone on a very similar journey to Techfugees, but backed by interests as diverse as healthcare and cat memes. 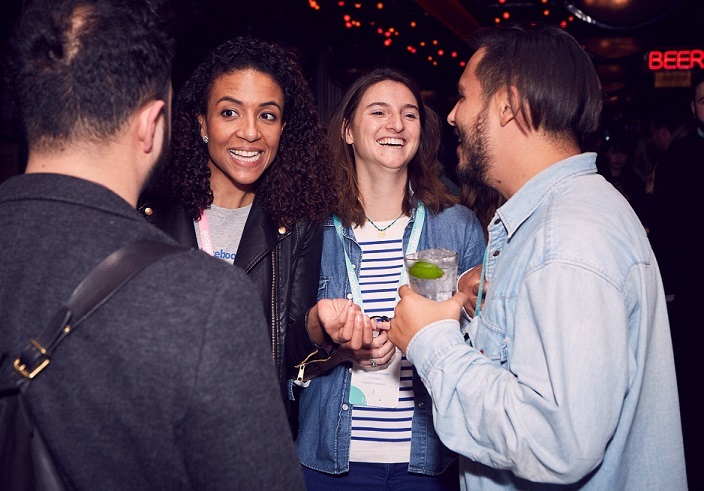 As it turns out, I already knew a couple of the attendees, including delegates from Devfugees, an organisation not too different from ourselves, and MakeSense, a social action platform. It was great to reconnect with those on a similar trajectory, as ironically, all this community made it hard to find your own tribe (not that I don’t love a good cat meme!). We were treated to sneak peeks of group features like improved displays, calendars, and expanded space for manifestos and rules, all of which could be a great help to the right audiences. Facebook, meanwhile, got the chance to pick our brains about what group features are delivering the most value, and how to make groups a more user-friendly experience overall. It’s all part of an overarching strategy shift on the part of Mark Zuckerberg’s social media behemoth. In the past, they’ve placed their weight behind news feeds, pages, and even individual timelines (remember when they were called ‘walls?’), but as the years have gone by, groups have emerged as the place where people come together to share the most. To amplify this, Facebook is putting its money where its mouth is and investing serious money in groups, enough to make being a group admin a very real and very cool possibility. They’re set to provide five scholarships worth a total of $1 million, including between six and eight months of training at Facebook HQ. In addition, the plan is to roll out smaller grants totalling $50,000 to empower teams to build support networks and push engagement within groups. This is obviously all great, but it’s no frivolous concept, it’s very much needed. Trust me, the burden of administrating groups ranging in the thousands of members can be taxing, taking up a lot of time. In some cases, a person’s mental health can be impacted when they feel the need to look after their creation 24/7, so Facebook taking responsibility for that is a big positive move. From there, it was back to Paris to attend the launch of Techfugees France’s Fellowship for Women Refugees. This is a massively exciting project, empowering 12 refugee women to better their positions in their new homes. Mostly from Syria, but also from Bangladesh, Sri Lanka, Palestine, and the Democratic Republic of the Congo, these are women with some incredible skills. Doctors, engineers, and architects, they now find themselves uprooted and without qualifications which are recognised in France. The fellowship, comprising six months of workshops, networking, and mentoring, allows them to explore digital, refocus their talents and get their skills recognised by French industry. Right now, the participants are just about to meet their mentors for the first time. These are drawn from Techfugees’ partner companies, mostly in the finance and tech sectors. Training the mentors themselves was an interesting challenge, mostly spent setting expectations for what they want to get from the experience. It can be tough to go from a major French bank like BNP Parisbas, for example, to inhabiting the kind of space usually occupied by social workers. We found it useful to impress on them that they aren’t here to ‘save’ these women, and they appreciated having those personal/professional boundaries set early on. It’s early days, but the project shows enormous promise. There’s a great vibe about the whole thing, and yet more evidence of refugees’ resilience and willingness to contribute to society despite leading hugely disrupted lives. There’s been an air of new beginnings surrounding the past few weeks. Not just kicking off the fellowship, but also taking a fresh look at how we link online and offline community building. Facebook’s offer is making us think through what it would be mean for us as an online organic community; will becoming a Facebook fellow cost us our autonomy? Independence and self-empowerment are in Techfugees’ DNA. Our community is engaged, motivated, and incredibly savvy. We trust that our members will hold us to account when it comes to sticking to our mission statement, it’s what’s driven us to succeed so far. And, of course, it’s in the interests of Facebook to make sure groups deliver value to members.